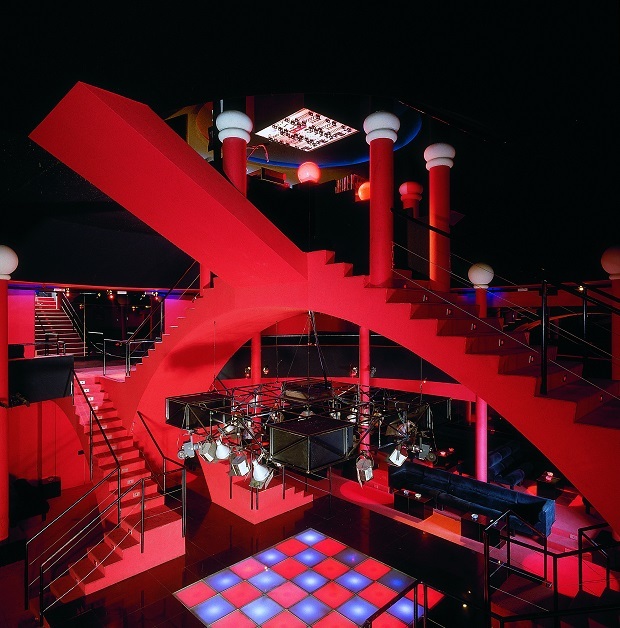 The Atomium's design museum, ADAM, is hosting a large scale overview of the relationship between design and club culture - looking at how nightclubs were "very important playgrounds for architects, designers and artists to question established norms". 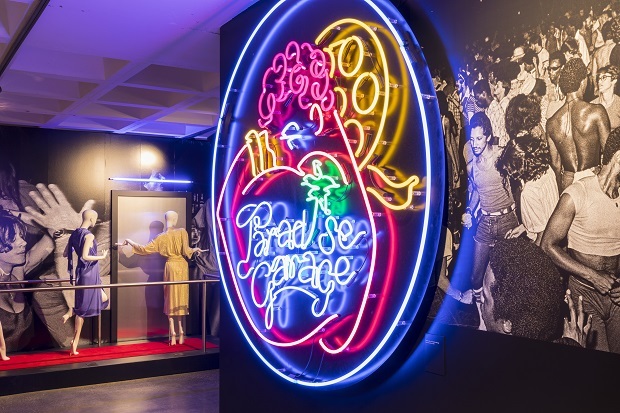 The exhibition sees dance clubs as one of the most important design spaces of contemporary culture, an important platform and inspiration for artists and designers from all over the world. "The exhibition proposes the nightclub as a design space where different disciplines merged together," says show co-curator Nina Serulus. "You have fashion, fashion design, lighting, sound, interior design and architecture, blending all in one. We're proposing it as a sort of modern Gesamtkunstwerk. "Nightclubs were also art galleries, networking spaces, and almost a canvas because they also made artwork for the nightclubs. For example, for Palladium, established by Ian Schrager and Steven Rubell, Keith Haring made a beautiful monumental mural, also JM Basquiat made a beautiful painting. 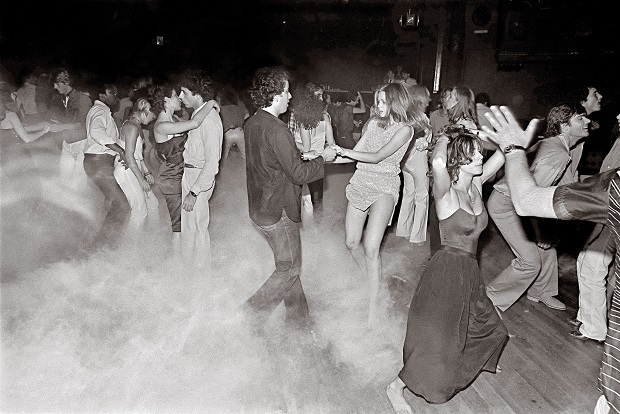 It was a space for creative energy and a lot of creative people had a background in nightclub culture." A rich combination of objects, clothes, archival material, filmed performances, historical artifacts and interactive displays make for a bright, dynamic, invigorating show best exemplified by Konstantin Grcic and Mattias Singer's vast spellbinding lights, mirrors and sound installation which literally surrounds the visitors and allows them to choose what they are listening to from a carefully compiled playlist from pre-disco to disco, house, techno and other sub-genres. The show allows us to appreciate how Andy Warhol, Keith Haring, Grace Jones, Jean-Michel Basquiat, Vivienne Westwood, Walter Van Beirendonck, Rem Koolhaas and the Sixties subversive avant-garde Italian designers and architects, among others, had their creative impulses reinforced and juiced by their involvement in club design and club life. 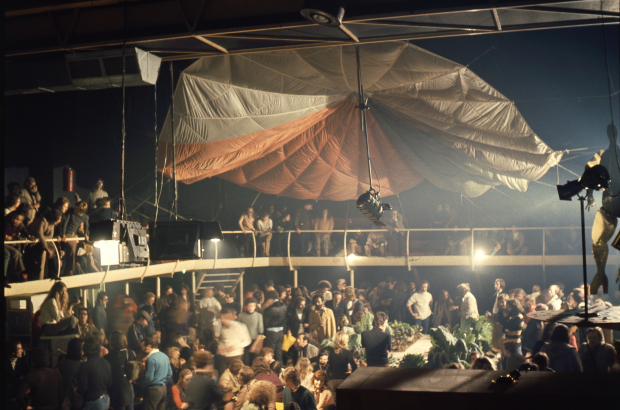 Particularly engaging are the ambitious but never realised plans for utopian environments centred on dance clubs. There are six sections to the show and one is devoted to the specific Belgian contributions to the club aesthetic. One of those contributions was the New Beat which was a specific music genre from the 1980s that was characterised by low throbbing dark beats and it also had a specific streetwear that went with it. 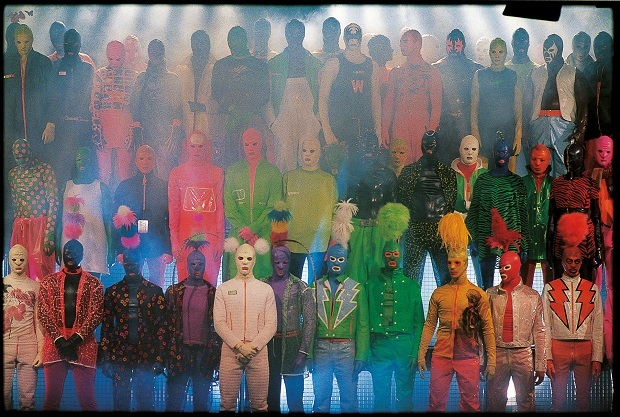 It influenced the emerging Antwerp Six and an amazing display of some of Walter Van Beirendonck’s designs from the period is on view. Additionally, starting in March, ADAM will be presenting a related show: Designing the Night: A Visual History of Belgium’s Nightclubs Scene which as well as presenting flyers, posters and other graphic expressions from the 1970s to 2010 will provide visitors with a Brussels Club Map so that they can further their research on the subject by visiting those places that contribute to Brussels’ vibrant nightlife.